My baby boy turned 1 today. It’s so very exciting to see him growing and learning new things every day. Growing up is bittersweet in my eyes though. I’m happy that he is starting to walk and talk but sad that he isn’t content to cuddle and coo at me for hours. I remember when Four Year Old Foodie would ONLY take naps in my arms or in the arms of my husband. *sigh* This time goes so quickly and life is uncertain so I try to cherish every moment. One thing I am most certain will never change however is my love of peanut butter.I blame my dad for this obsession. You see, when I was a child my dad always offered a spoonful of peanut butter as a remedy for hiccups. If you think that’s weird then you will think it is even more bizarre that it really works! Well, it worked for me anyway. When I was in high school my (now) husband thought this remedy was absurd and that it was “all in my head” so I decided to put it to the test. The next time I got the hiccups instead of taking a spoonful of peanut butter I simply opened the jar and took a deep sniff. Turns out he was right- even just the smell of peanut butter told my mind it was time to stop hiccuping. Just to be clear I reverted back to my spoonful remedy anyway. For me the only way you could make peanut butter better is by making it easier to spoon out and drizzle on whatever is close by. This peanut butter topping is perfect for hiccups, ice cream, brownies, or whatever you have on hand. You could make a killer peanut butter milkshake with this stuff. Are you a chocolate-lover or do you prefer vanilla? The good news is that peanut butter goes with EVERYTHING! Combine all ingredients over medium heat until butters are melted and incorporated. Use warm or store refrigerated in an airtight container for up to 2 weeks. Can’t wait till treat day(Sunday)…a scoop of chocolate, a scoop of vanilla, and a drizzle of this wonderful peanut butter topping! omg this got me completely…condensed milk is my strongest weakness!! looks such a beauty. happy birthday a year old foodie!! i love this…hiccups hheeehe trivia, sweet trivia! i believe you Katrina! This sauce sounds amazing; I’m dreaming of Sundaes now! Ohhh, this looks delicious! I love heating up some peanut butter and pouring it on top, but this stays melty. Perfect! 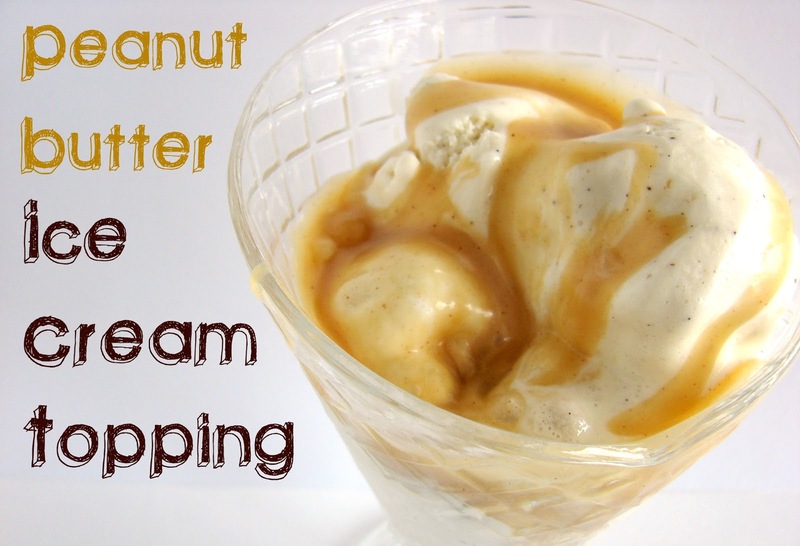 Oooooh, thanks for this peanut butter ice cream sauce recipe. It’s feeling very go-to already! Happy birthday to your little guy, too. This looks amazing!!! My mouth is literally watering right now. Happy bday to your little boy too! I’m not sure what could be better! This looks incredible! Thank you so much for this recipe! But I doubt it’ll last in the fridge 2 weeks, because I would probably eat it with a spoon… Peanut butter AND condensed milk! I love the picture of that dark chocolate ice-cream!!! I wish your little boy Happy B-day!!! And your ice cream topping ..ahh yummy..I love how you made this sounds so so tasty!!! Happy first birthday to your little guy! I’ll have mine with peanut butter, please. So many fun years and birthdays to come with your son. I meant, I want my peanut butter topping with chocolate ice cream please. Too late for me to still be posting, obviously. You had me at Peanut Butter!! YUMMO! I love all your pictures… my mouth is watering! Happy 1st birthday to your lil man! Aww…so bittersweet! I love peanut butter too! And ice cream. And Chocolate. And that dessert looks amazing! Happy Birthday to your little guy! this topping looks perfectly delightful. Oh my gosh, this sounds phenomenal. Mu husband wants fondue for his birthday, and I think this will be perfect! Mmm. I love how you made this with condensed milk. Peanut butter and condensed milk on ice cream? How haven’t I thought of this yet? I live in a seriously peanut butter loving household, I’m sure if I show this recipe to boyfriend some ice cream and condensed milk will mysteriously appear in our shopping basket tomorrow. Happy Birthday to your little one Katrina! I’m a fellow peanut butter lover, so I’m loving this recipe. I have a feeling it’s going to be a hit at my house. My husband absolutely loves peanut butter! If it can stop hiccups, I wonder if it could stop his snoring? :). This sauce looks incredible. Thanks for sharing! My son will be in heaven when I make this for him, this is awesome thanks so much for the recipe! oh my gosh… this is pure heaven. Oh my word, that looks dreamy. And I am definitely going to try a spoonful of PB the next time I have the hiccups! Very yummy looking! Happy Birthday to your baby boy! Yum!!!! I love eveyrthing about this post – chocolate, peanut butter, ice cream. It all looks delicious! Happy First Birthday to your little boy!! 🙂 I may need to try your dads remedy for hiccups, every time I laugh I get them. And, if the peanut butter doesn’t work then well, its an excuse to eat a tablespoon of peanut butter! This topping looks sooo good. Wishing I had a bowl of vanilla ice cream and this! Happy B-Day to the Little Bit! What better way to celebrate a milestone like that than with some yummy peanie butter covered ice cream. I like the way your mind works 🙂 Thanks so much for sharing! I’m totally going to have to try this topping soon! We love peanut butter in my house! I just made cake batter ice cream. I’m tempted to pour this topping of yours over it despite the fact that it may not work well together. It sounds so dreamy! I just want to put this sauce on everything! Happy birthday to your little one! That ice cream topping sounds delicious! I need that reese’s cup. Ooh you know what you should do – put this sauce into brownies! Mmm, how can you go wrong with those ingredients? I’m not an ice cream person so I’ll have to find something else to try this one! Oh dear lord does that sound – and look – good! Thanks for tempting me with another sweet and sinfully good dessert idea. Keep ’em coming! 🙂 Thanks for sharing. I hope you have a great weekend! Oh man that looks and sounds divine. Yum! This looks so good! I can’t decide which kind of ice cream I want in on first. 🙂 Your photos are gorgeous! Happy birthday to your little one 🙂 I love ice cream and this topping is just perfect 🙂 as all your recipes! Fantastic! 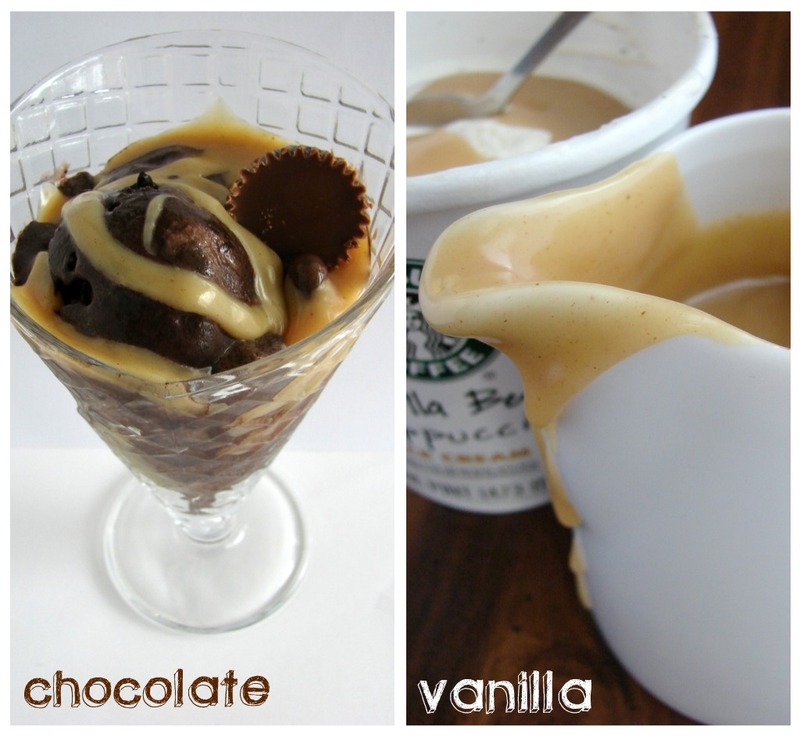 I need to go get some ice cream so I have an excuse to make this! This looks and sounds amazing! I will make this the next time my sons have their teenage friends over, I will be a hit! This is so great. Can’t have enough of peanut butter. Love condensed milk and always have it at home. Thanks!!! I’m drooling with the endless possibilities. I might just put it on my breakfast if I had it right now. *gasp*! Um… YUM! I love ice cream and pb topping… it’s so good! Happy Birthday to your little one! This is a fabulous way to dress up ice cream! Yum! How lovely!! Happy Birthday to your babay boy! This looks so yummy, Katrina! Oh my GOODNESS!!! On the chocolate?!? I’ll be right over! I don’t see a single reason why this can’t be used as a breakfast syrup…It looks perfect. This sounds so tasty!Your ice cream topping .. yummy.. I wish your little sweet boy Happy B-day!!! Ooooh Girl!! You are so wicked…LOL. I got my love of peanut butter from my Mom. Love your Dad’s trick for curing hiccups – that’s a darn good idea!! This really looks so good-you know I got it bookmarked! Happy 1st birthday to your little boy Katrina. I was so hoping to see some photos of the celebration, you must share – please! I so miss that age and I agree time flies by so quickly, my two are 17 and 19 and honestly I don’t know where the time has gone. Seems like only yesterday that I was cuddling them in my arms. I’m sure you’ve enjoyed the wonderful year of firsts. I ca’t wait to try your peanut butter next time the hiccups come on. You are a genius, I’ve never once thought to make a peanut butter sauce for ice cream but it sounds absolutely delicious. Putting it on my must try list. My kids will love you for this one. This is such a wonderful idea! I am definitely trying it 🙂 And happy birthday to your son! I’d eat this on ice cream, cookies, cake, you name it! Oh my gosh! Uhm, yum. I have a team full of track girls who would kill for this… I don’t know why, but we’re all addicted to peanut butter! My theory is that running makes your body crave something that peanut butter has… I’ll have to make this!! Katrina! I made this tonight and I tasted some. It was so good. I tasted a little bit more to make sure it was just right. I have been so good, but I just couldn’t stop myself from licking the spoon. I won’t tell you what happened to my nursing baby because of it, but I’ll just say, he’s going to be on his $50.00 formula for a couple days….and it was totally worth it. I’m a horrible mother. When I post about this I think I might change the name to have to do with how much those three bites cost me. 😉 Again, totally worth it – I feel like Rapunzel in Tangled, I’m so conflicted with my choice to eat it. SO, so incredible perfect, I have an extreme obsession with peanut butter! Just made this too and it’s delicious! I live in Russia and I’m going to take this to work tomorrow for an ice cream social. This is going to blow peoples’ minds! This is awesome! Now I can make my peanut butter bash I would get at Dairy Queen. So easy to make too! 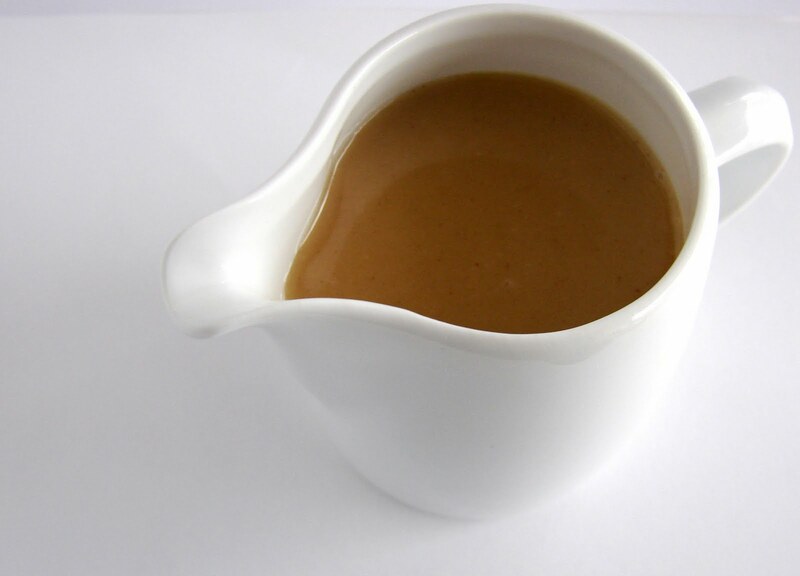 Can I use evaporated milk instead, cause that is all I have on hand, and will it work for the peanut butter sauce??? ?